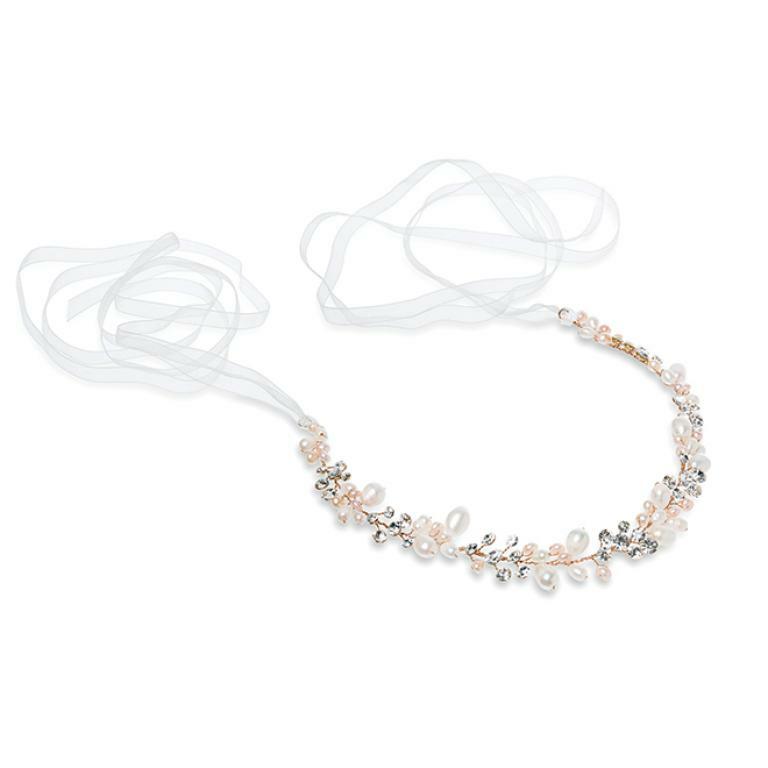 Pearl Mist is a stunning bohemian inspired design. 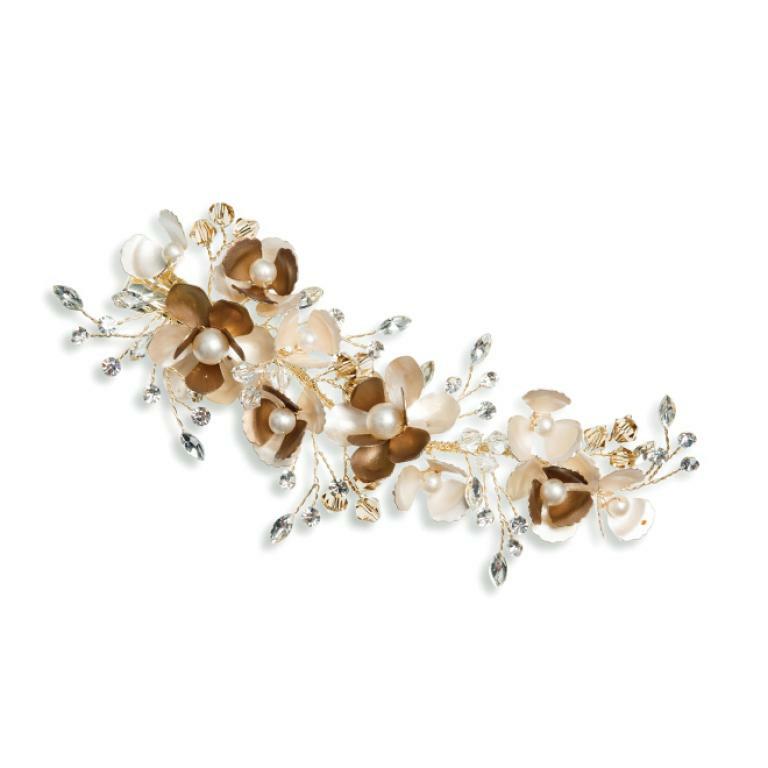 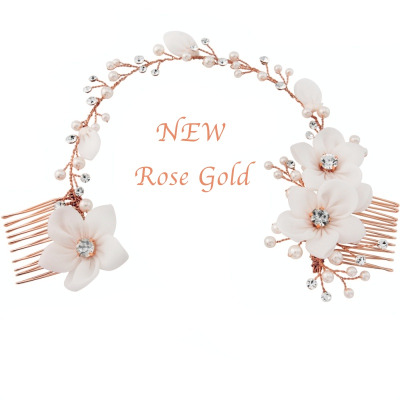 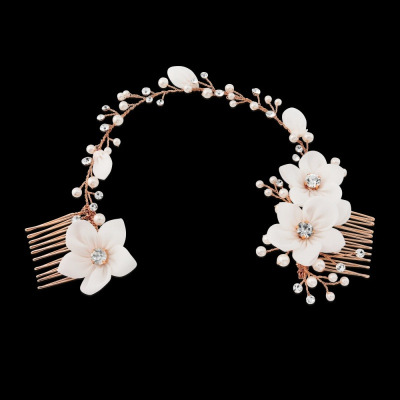 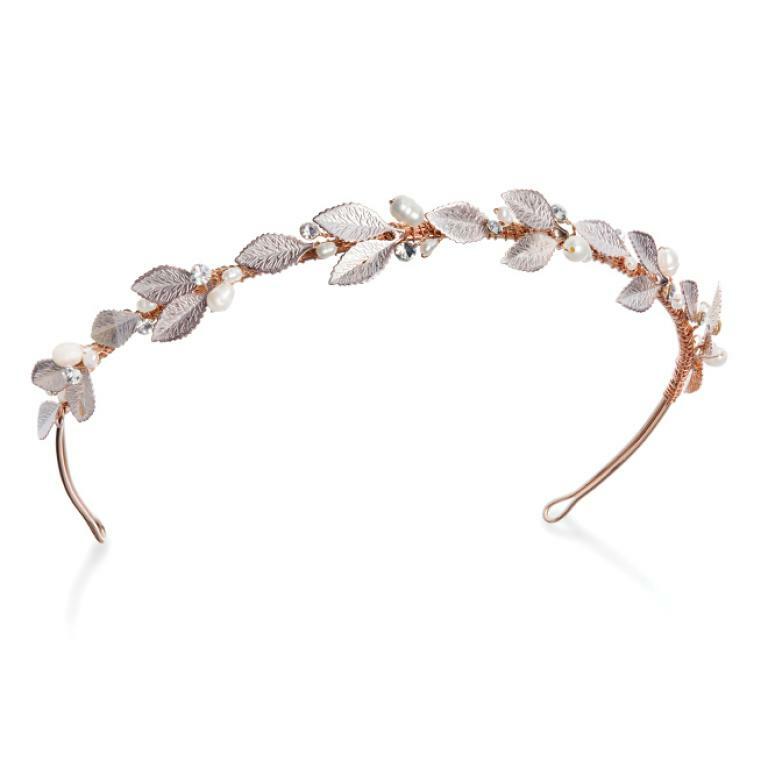 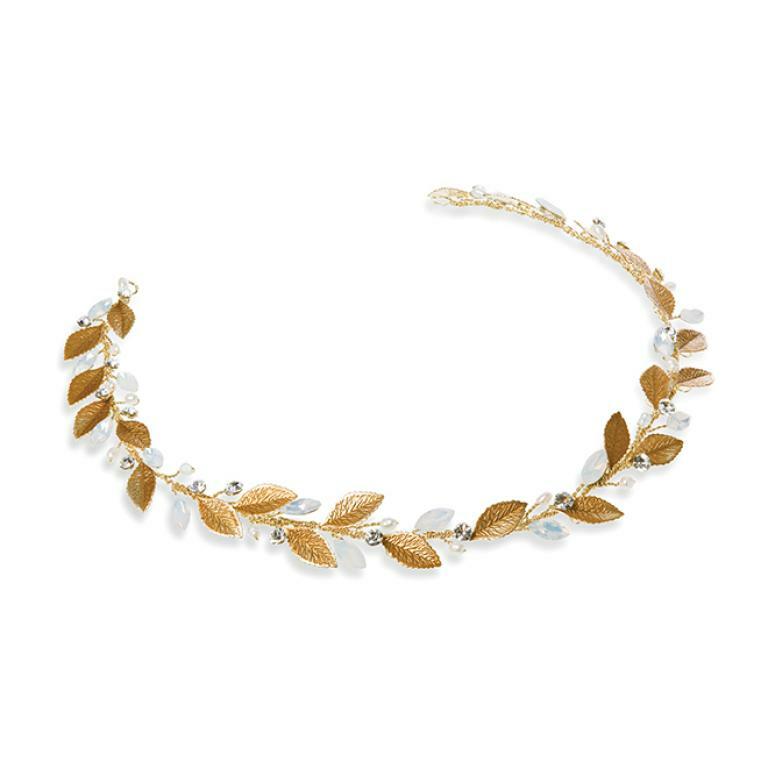 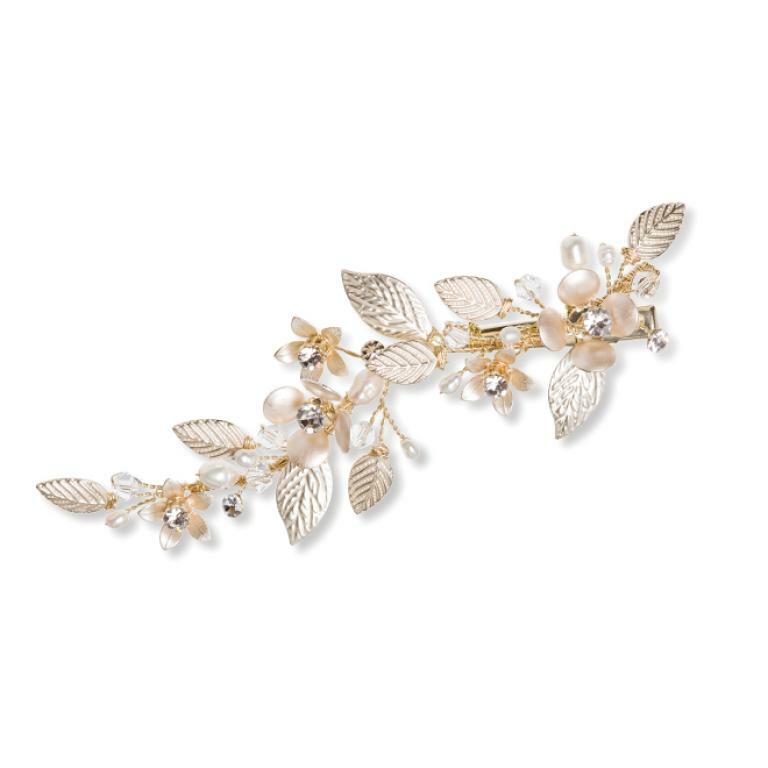 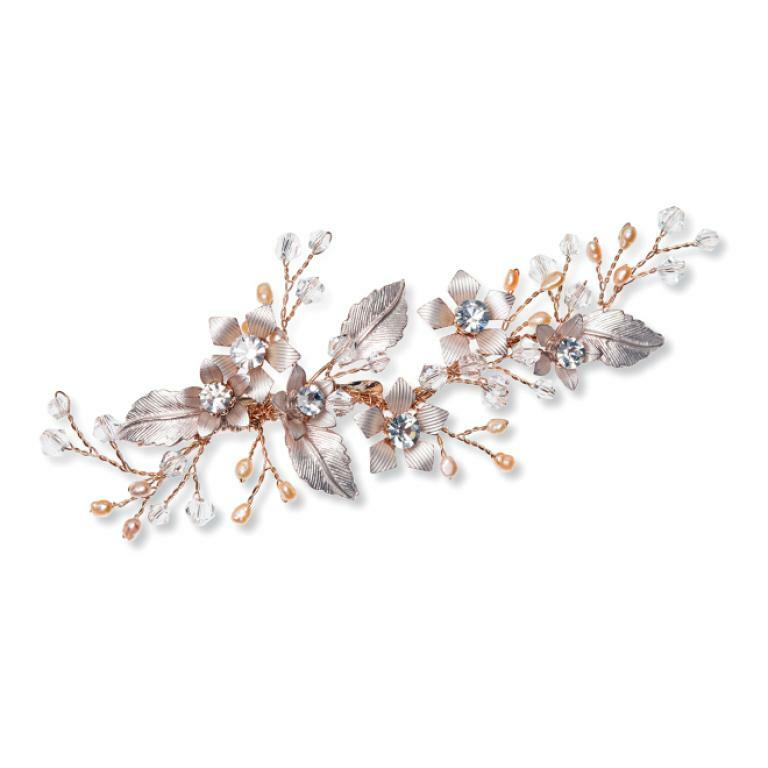 Rose gold colour, cut solitaire stones and real freshwater pearls are adorned with hand enamelled leaves as part of the delicate design along the length of the headband. 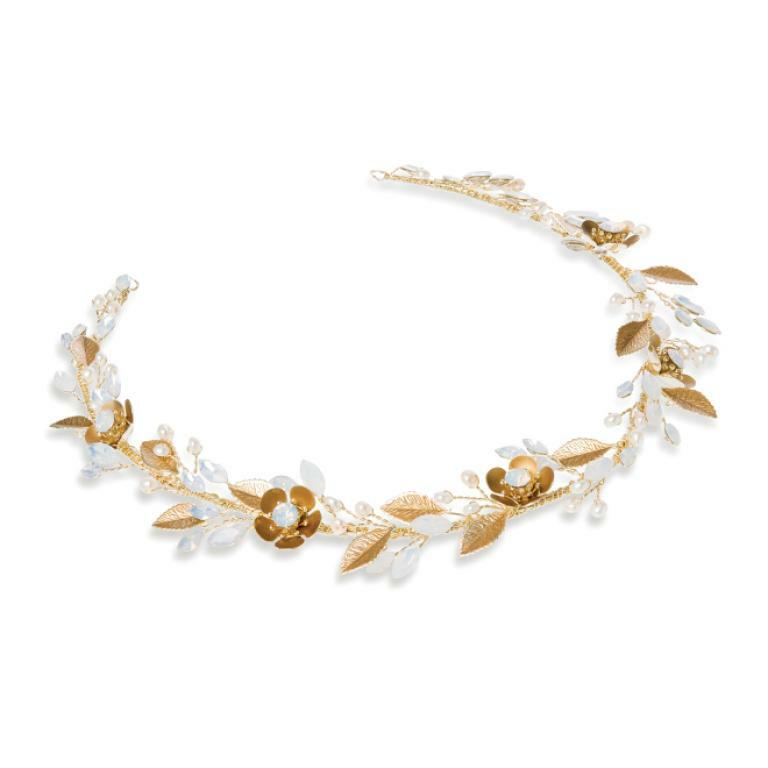 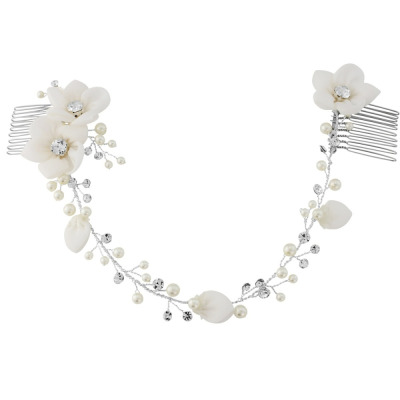 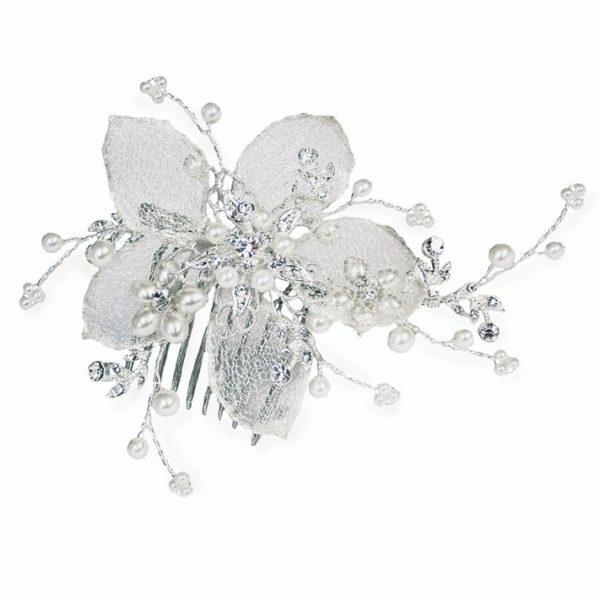 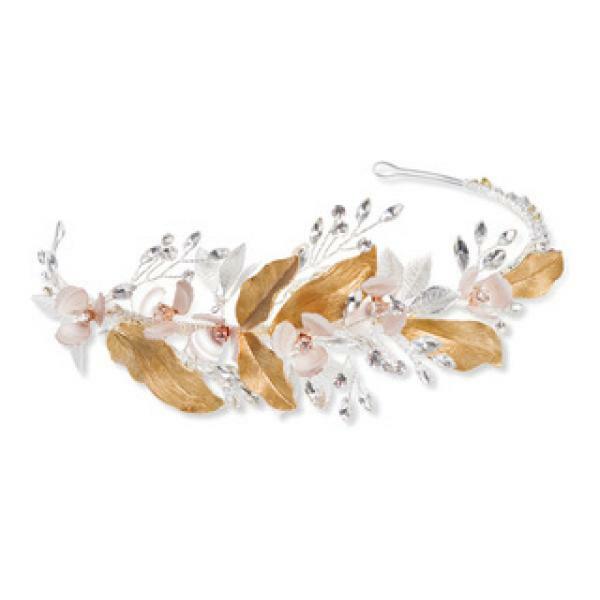 This simple and elegant floral headpiece is perfect for garden or beach destination weddings and can also be worn by maids of honour and bridesmaids.